On his visit to India, Canadian prime minister Justin Trudeau has gone to a lot of places. 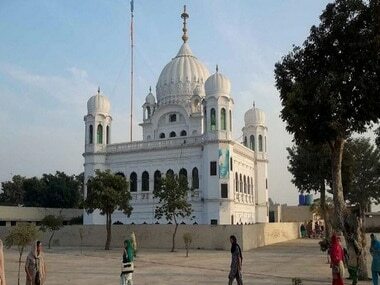 He has been to the Sabarmati Ashram in Gujarat, Golden Temple in Amritsar and Jama Masjid in New Delhi. He has met Prime Minister Narendra Modi, Gujarat chief minister Vijay Rupani, Maharashtra chief minister Devendra Fadnavis and Punjab chief minister Amarinder Singh. Yet, for some reason, the ones who are most excited (at least on Twitter) about Trudeau's visit to India seem to be Tamilians. #Tamils4JustinTrudeau is trending on Twitter. This fact becomes stranger when takes into consideration that Trudeau has neither visited Tamil Nadu nor said anything particularly focused on the Tamil community. "We are committed to building friendliness with the Canadian-based Indian community and seeking active participation in India's progress. India-Canada is a natural partnership of shared values. I hope to have more robust partnership between the two countries and the bright future of our two countries." MoUs were signed on energy, higher education, trade and investment, sports etc. You can read the full list on the official MEA website. "As Canada looks to do business beyond borders, India is a natural partner and trusted friend in commercial operations," says Justin Trudeau. "I thank Prime Minister Modi for his warm reception here. We share, not only a rich history, but a natural friendship between the two nations. I'm glad to say we wrapped up a productive meeting and discussed mutual interests. First, talked about how to come together to benefit both Indians and Canada." "We have agreed to strengthen our security cooperation. Terrorism and extremism are threats to democratic, pluralistic societies like India and Canada. It is important to come together to combat these." The Canadian prime minister, Justin Trudeau, is known to go to extreme lengths to project himself as part of a cause. It is very evident on his India trip where he can been wearing dazzling sherwanis and performing bhangra at a Canada House event or wearing kurtas to the Golden Temple. Social media users were quick to latch on to this and began saying that 'it was too Indian even for Indians'. According to NDTV, Vivek Dehejia, an economics professor in Ottawa told Canada's Global News, "It's a little over the top. I understand on day one having to wear the traditional clothes, but now it's getting too much." Ties between India and Canada have shown signs of tension ever since Trudeau began his visit to India. First off, Modi not receiving his Canadian counterpart Justin Trudeau at the airport, a courtesy he extended to some world leaders in the past, had triggered speculation in Canada that it was a snub to him for the rising Sikh radicalism in that country. The Sikhs in Canada wield significant political clout and Trudeau's Cabinet has four Sikh members. The (government) sources said the prime minister received around five leaders at the airport during the last three-and-half years which included the Israeli prime minister Benjamin Netanyahu, former US president Barack Obama, Bangladesh Prime Minister Sheikh Hasina, and Crown Prince of Abu Dhabi Sheikh Mohamed bin Zayed Al Nahyan twice. Delegation-level talks are underway at the moment. 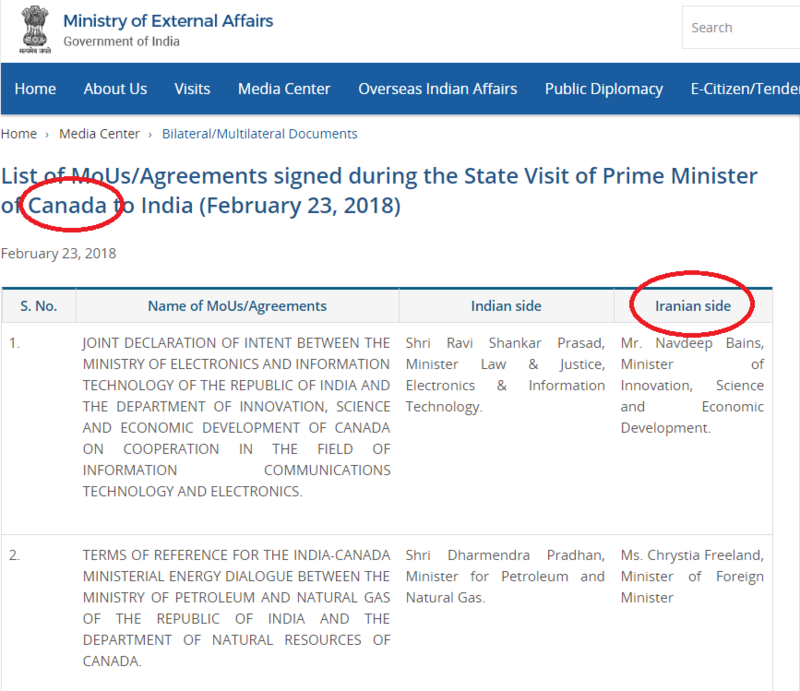 As per the Canadian prime minister's website, Justin Trudeau, along with the Minister of Innovation, Science and Economic Development, Navdeep Bains, the Minister of Foreign Affairs, Chrystia Freeland, the Minister of Defence, Harjit Sajjan, the Minister of Infrastructure and Communities, Amarjeet Sohi, the Minister of Science and Minister of Sport and Persons with Disabilities, Kirsty Duncan, and the Minister of Small Business and Tourism, Bardish Chagger will hold an expanded bilateral meeting with Prime Minister Narendra Modi at Hyderabad House. At 12 pm, Justin Trudeau is scheduled to meet Narendra Modi at Hyderabad House. Union minister Harsimrat Kaur Badal on Thursday urged Trudeau to start Toronto-Amritsar Air Canada flights on the sidelines of the India-Canada business session, reported Hindustan Times. Is Justin Trudeau's trip a total disaster? Writing for The Washington Post, journalist Barkha Dutt says that the unusual length of Trudeau's trip may help explain why it began on a "discordant note". The editorial quotes government sources as saying that India had requested Canada to shorten Trudeau's trip or sequence it differently, beginning with political talks. However, that did not happen. "India wanted to start the trip with political talks before Trudeau played tourist. The Canadians disagreed. Also, the Canadians expected Modi to accompany Trudeau to his home state of Gujarat, just as he had done with Shinzo Abe, Xi Jinping and Benjamain Netanyahu. India declined." According to The Indian Express, Canadian journalist Manvir Singh Saini, who had protested Prime Minister Narendra Modi's 2015 visit to Canada, is part of Justin Trudeau's media delegation and has accompanied him to all official events so far. In 2015, photos of Saini holding banners that read "Modi is a Terrorist", "Modi you are not welcome in Canada", and "India out of Khalistan" had gone viral at the time. Following his official welcome at the Rashtrapati Bhavan in New Delhi, Canadian prime minister Justin Trudeau will move to the Rajghat next, where he will lay a wreath at Mahatma Gandhi's memorial. The Canadian prime minister was welcomed with a Guard of Honour, with the Canadian and Indian national anthems played in the background. This is the first engagement for the day for Trudeau's schedule. But those (Canada's) linkages (with Khalistan), frowned upon by New Delhi, could have escaped too much scrutiny if those who had scheduled Trudeau's visit had listened to India and ensured he stopped early in the National Capital for the government-to-government dialogue with Prime Minister Narendra Modi. Instead, they opted to have him gallivant across the country — from Agra to Ahmedabad and Mumbai to Amritsar. In that period, people noticed Modi had not welcomed him with his trademark tweet (something he eventually did on Thursday, on the eve of their meeting), and the story of the 'snub' went global. As the two prime ministers finally meet at Hyderabad House in New Delhi at noon, something could still be salvaged out of this magnified mess. And the relationship between India and Canada is far too significant to allow it to be reflected in the buildup to that bilateral summit. But it will take the combined charm of Trudeau and Modi to elevate the public conversation over the debris left by the disaster so far. Amid the row over the presence of Khalistani sympathisers in Canada's Cabinet, Prime Minister Justin Trudeau has said that Jaspal Atwal should "never have received an invitation" to his event, even as India said it is ascertaining details on how the convicted militant obtained a visa. Addressing the controversy, Trudeau said the dinner invitation to Atwal, who was once active in the International Sikh Youth Federation, was rescinded as soon as the Canadian government received the information about him, ANI reported. With questions raised over his silence so far ever since Canadian prime minister Justin Trudeau's arrival in India on Saturday, Prime Minister Narendra Modi on Thursday evening welcomed him on his visit and said that he looked forward to meeting him on Friday. 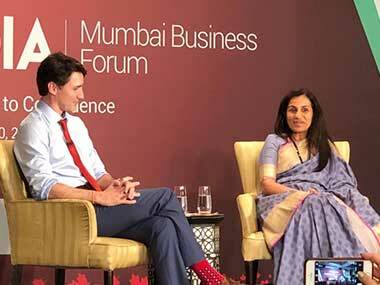 When Kochhar asked Trudeau's thoughts on trade agreements, he said, "I worry about the impact of trade on globalisation. At a time when the world is turning away from trade, we are proud to be signing trade agreements. We know that trade leads to growth. But if we're are able to keep public support for the trade agreements. We ensure that small traders get benefits for these trade deals." He also emphasised the ease of doing business in Canada, "Companies can get visas within two weeks. Openness to international talent is a positive advantage in the world trade." "Same goes for immigration," he added. "Canada is opening up for immigration. One complaint we get is that we are not getting enough immigration," Trudeau said about Canada's stance on immigration. Patricia Koval, the chairperson of the C-IBC, has complimented India for easing visa regulations and said Canada must do likewise. "US' visa renewal issues are a huge opportunity. I do think India has made fabulous drives on the visa system. Canada now needs to step up and facilitating the transfer of visas," Koval said. Patricia Koval, chairperson of C-IBC, spoke about creating more business exchange opportunities. "We have strong educational ties between Canada and India. In terms of job creations, there's huge benefits in collaborative programmes," she said. Kiran Mazumdar Shaw, the chairperson of Biocon Limited, said both India and Canada have plenty of skill and talent. "We've to build a technology corridor between India and Canada. The US has created a good ecosystem with that. The risk appetite created in the US needs to be re emulated in other countries. Risk sharing can be an interesting model and both in India and Canada can look at that area for getting new innovative ideas to these market. E-commerce is disrupting the world everywhere. Bangalore has a lot of innovation happening and so have many Canadian cities. So I'd suggest the creation of a technology corridor between the two countries. We should be focusing on technology diplomacy," she said. India-Canada trade is worth just $8 billion, just a minor fraction of the $100 billion trade between India and the US, Jaspal Bindra, executive chairman of Centrum, said. "The purpose of the CEO panel is to find better business opportunities that can be explored between the two countries," Bindra said. Kirsty Duncan, minister for science and sport in the Canadian government, recalls it being a difficult time for woman scientists to break through in a male-dominated field like science. "It's an honour to be in India. I'm here to build on the strong ties between India and Canada. Science is the backbone of innovation. We can think of collaboration on artificial intelligence, healthcare, innovation, etc. Canada started funding AI by the 90s and we kept funding sciences as it matters. Now it's become mainstream. Everyone knows about Silicon Valley, but there's also Maple Valley." Devang Khakar, director of IIT Bombay, said, "We've collaborated with Canadian universities. There are a lot of exchange programmes. We are also building a large number of collaborations with Canadian universities. There are a lot of joint research projects going on. We are keen to build a special relationship with the University of Toronto. There's a great potential to learn a lot." Devang Khakar, director of IIT-Bombay, spoke of the growing interest in entrepreneurship. "Twenty years ago, there wasn't much interest in entrepreneurship. But now many are either starting their own companies or working with start-ups. Now there's more focus towards doing innovative things in areas which were unthinkable in the past. For instance, some of our graduates have worked on something as old as ceiling fans and have won patents for their design. Students are thinking of entrepreneurship from the beginning. We also have a workshop for students in entrepreneurship. I think that this is a trend that is very strong. A lot of support is coming from outside, senior alumni are coming back to start their own companies." Companies that they've incubated have created over 3,000 jobs, Khakar said. "These new companies are nimble enough to find out needs that are yet to be fulfilled and are coming up with innovative solutions for these issues. They're not just making copycat products but something innovative," he added. David Agnew, president of Toronto's Seneca College, spoke in glowing terms about the higher educational possibilities in Canada for Indian students. "According to Canadian system, we are a college offering diploma and degrees. We have 25,000 full-time students and 10 campuses in the Greater Toronto area. Internationalisation of education is a big topic and we are still a big receiver of international students. In all, 125,000 students from India are studying in Canada. We are focused on developing partnerships in India," Agnew said. "IT companies are of particular interest. We want to see how we can help with Smart City challenges of major urban centres. Problems of transportation, social laws, etc. If we partner wet can find innovative solutions to these issues. The way the challenges work is we call municipality's to identify problems and then tech is used to solve these problems. We then fund viable projects. This is something that is inspired by Indian Smart City challenges," says Sohi. Amarjeet Sohi a Khalistan sympathiser? According to media reports, Sohi was arrested under the Terrorist and Disruptive Activities (Prevention) Act for about 21 months in the late 80s for his alleged links with the Khalistan movement. However, he was released without being charged as no evidence was found against him. "Economic growth is on the top agenda of Prime Minister Justin Trudeau. Growth that helps everyone as businesses and individuals. The same values are also shared by Prime Minister Narendra Modi," says Sohi. "Every time I come to India it gives me an opportunity to reflect on the time when I was a young man and went to Canada and built my life there. The opportunities Canada has to offer is immense. 1.4 million Indian-Canadians have a strong bond of culture and values," says Amarjeet Sohi, cabinet minister of Canada. "Banking is getting thoroughly regulated than any other industries. Govt policies between the two countries effects business, but the host country regulator is important. The cost of compliance is driving financial institutes out of business. If we drive these businesses out of business, they're not going to stop doing business but will operate in shadows which is not good," says Siddharth Sengupta of SBI. "I won't day what is the final price of pulses in India. But what I do know is that trade will help food security in India. What we need to find is the Indian policy perspective on Indian farmers and consumers and find the point of connection for global trade," Gordon Bacon, CEO, Pulse Canada. Will SBI go from 6 branches to 60? "We won't go that big anytime soon as banks does not need physical braches. We need to make a transition from 'brick and mortar' to 'Click and mortar'. We want to have a branch in Calgary region. The diaspora evolves over time and we've to be relevant to this. What are he kind of values we can bring to the consumer is what's important," says Siddharth Sengupta of SBI. "The global pulse market is influenced not only by the commercial forces of supply and demand (trade) but also by government directions (policy) that can complement but also override commercial market direction. Perhaps no government is having a bigger impact on the pulse industry than the Government of India," he wrote in an editorial recently. "Prospect of doing business in India had been particularly favorable as the legal process is similar to Canadian common law. English language proficiency is a helping factor. Strong local partners are also important. GST and other reforms have given a more transparent and stable environment which helps us. We invest based on trends, are active in residential projects and so on. Lessons learnt in the last ten years is that you've to be patient. India presents a high growth potential along the Aasian markets," says Rita-Rose Gagne of Ivanhoe Cambridge. Canadian prime minister Justin Trudeau said on Monday that heterogeneous society is the new reality of the 21st century and the biggest challenge is to understand how differences can become a source of strength, "something that India and Canada have done fairly well". Calling himself a "feminist", Trudeau also said "we as a society are underperforming" as women are not being given an opportunity to contribute to their full potential. He was addressing students at the prestigious Indian Institute of Management, Ahmedabad (IIM-A). "SME has been the backbone of our 40 year collaboration. There are lot of untapped areas which need to be focussed on. 130 Indian companies were brought to Canada to increase bilateral trade. Today's forum is focused on building strong relationships between Indian and Canadian companies. Canada-India foundation also completed 10 years. It was formed to clarify public policy issues between the two countries. They've also pioneered the work of connecting the diaspora," said Kasi Rao, CEO of Canadian-Indian Business Council. The Indo-Canadian Business Chambers will be hosting the business forum where Prime Minister Justin Trudeau is also expected to participate in an armchair discussion along with veteran banker Chanda Kocchar at 3 pm. Prime Minister Narendra Modi not receiving his Canadian counterpart Justin Trudeau at the airport, a courtesy he extended to some world leaders in the past, has triggered speculation in Canada that it was a snub to him for the rising Sikh radicalism in that country. However, government sources strongly rejected the speculation, insisting normal diplomatic protocol has been extended to Trudeau, PTI reported. They also expressed surprise over the Canadian side preferring to schedule Trudeau's official engagements in Delhi at the fag end of the tour as against the normal practice of having bilateral meetings during the first part of such visits. Canadian prime minister Justin Trudeau, who arrived in Mumbai on Monday, will on Tuesday meet industry leaders. According to the itinerary posted on Trudeau's official website, the Canadian prime minister will be meeting N Chandrasekharan of Tata Sons at 9 am before holding discussions with Infosys CEO Salil Parekh and Mahindra Group chairman Anand Mahindra. Trudeau says that cynicism is spreading across the world and the way people easily draw lines along communities is deeply worrisome. Hope is important and can usher growth, cynicism telling voting is uncool doesn't, the Canadian PM says. Talking about the robust immigration system in Canada, Trudeau says, "More countries need to do more to welcome immigrants not because that is the right thing to do, because refugees who flee the persecution in their country for a better life in another, are extremely grateful to the country that welcomes them. They work very hard and contribute tremendously to the growth of the country that welcomed them. That is the Canadian story." The idea of ideal citizen does not just rest on surface attributes like ethnicity or racism, it is more dependent on shared values that a society subscribes to, says Trudeau. He adds that young people tend to get that kind of openness and they understand how defined you are in your choices. No statement on how a man looks is not even an eyelash-worthy of the kind of sexism that women have to face everyday in various ways, says Trudeau in response to how people commented on his nice hair when he was campaigning. If you think that men and women should get equal opportunities, you are a feminist, it is that simple, says Trudeau. He goes onto explain that gender balance in terms of opportunities isn't the right thing to do but the smart thing to do in terms of growth. While saying that US president Donald Trump shares similarities with him, Justin Trudeau says their policies are doing well for their economy. Both have an optimistic approach towards the future of investment, he added. "Canada has enough fossil fuel resources to not be bothered about climate change but that's not the right path. It is important to take oil resources to market at a reasonable price. It's important to find a middle ground and move ahead in a responsible way,"Trudeau tells IIM Ahmedabad students. The potential path I was taking going into politics was entirely my own, not necessarily my father's. The decision was because I had to say certain things to the masses, not just because it was dynastic politics. Politics is unpleasant in certain ways and incredibly rewarding in other ways. Familial expectations isn't a way to be successful in politics. The Canadian prime minister wrote: "A beautiful place of peace, humility and truth, that is as needed today as it ever was." His other family members — wife Sophie and children — also signed the register book, reported The Economic Times. Yogi Adityanath's refusal to meet Trudeau ahead of the Canadian prime minister's Taj Mahal visit and the uncertainty surrounding whether or not there will be a meeting with Captain Amarinder Singh notwithstanding, it's too early to call what Modi did (or didn't do) a snub. We'll need to wait at least until the duo finally meets in New Delhi. Trudeau will speak at IIM-Ahmedabad later in the day, reported Financial Express. He will speak on "Education and Investment Opportunities” before an audience of students at IIM-A. What has caused concern, even annoyance in New Delhi is the Canadian prime minister and his party’s hobnobbing with some who are seen as Khalistani elements. For instance, New Delhi’s hackles were raised in April last year after the Ontario legislature passed a private member’s bill — it was moved by Harinder Malhi and she belongs to Trudeau’s party — that described the 1984 anti-Sikh riots as a "genocide". NDTV reported that Narendra Modi is not in Gujarat today and will not meet the Canadian PM today. Sorry to miss the ceremonial reception at Rashtrapati Bhawan and lunch at Hyderabad House today, with Canadian PM @JustinTrudeau , due to prior commitment to the people of my constituency, who will be waiting for me at a rally in Sardulgarh. LIVE updates: While discussing various issues of importance, Canadian business leaders believed that reforms like GST have helped in making India a good prospect for Canadian businesses. The Indo-Canadian Business Chamber-hosted business forum has begun. Prime Minister Justin Trudeau is expected to attend an armchair discussion session at 3 am. Meanwhile, Trudeau began his day with meeting Tata Sons CEO N Chandrasekharan at Mumbai's Taj Mahal hotel. He is set to spend most of his day at the iconic Colaba hotel. Canadian prime minister Justin Trudeau, who arrived in Mumbai on Monday, will on Tuesday meet industry leaders. According to the itinerary posted on Trudeau's official website, the Canadian prime minister will be meeting N Chandrasekharan of Tata Sons at 9 am before holding discussions with Infosys CEO Salil Parekh and Mahindra chairman Anand Mahindra. Trudeau is also expected to meet Jubilant Bhartia Group's Hari Bhartia, Aditya Birla Group chairman Kumar Mangalam Birla and Shapoorji Pallonji Group board member, Cyrus Mistry. Later in the day, Trudeau is also expected to address a roundtable of women business leaders and attend the India-Canada Business Forum at the Taj Mahal Palace Hotel. 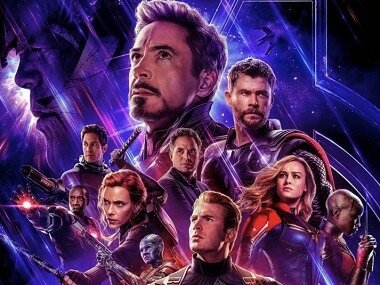 At 4 pm, he is expected to meet Maharashtra chief minister Devendra Fadnavis before ending the day by meeting Bollywood celebrities at a private event. Trudeau is all set to meet Punjab chief minister Amarinder Singh during the former's visit to Amritsar on Wednesday. Trudeau will offer prayers at the Golden Temple complex, where the holiest of Sikh shrines 'Harmandir Sahib' is located. The visit is of political and social significance in Canada as that country has a substantial Indian diaspora, a majority of them being from Punjab. Amarinder on Monday said that he was looking forward to the "one-on-one" meeting with the Canadian prime minister. "Look forward to taking Punjab's close business as well as people-to-people relations with Canada to the next level, with a one-to-one meeting with visiting Canadian prime minister in Amritsar on Wednesday," Amarinder said. 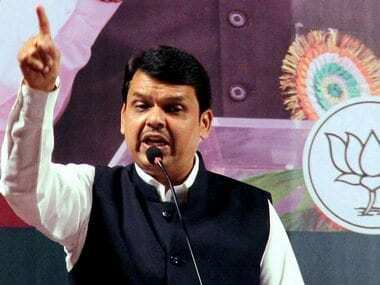 The chief minister, who has already issued instructions to the state administration to roll out the red carpet for the visiting dignitary's visit, said on Monday that he looked forward to the meeting. There was uncertainty over Amarinder's meeting with Trudeau as the Punjab chief minister had last year courted controversy when he had refused to meet Canadian defence minister Harjit Singh Sajjan, the first Sikh defence minister of a western country, during a visit to Punjab in April last year. Amarinder had gone public to label Sajjan and other ministers of Indian origin in the Trudeau government as "Khalistani sympathisers". In a change of tone now, Amarinder expressed the hope that his meeting with Trudeau would help strengthen the bilateral relations in the context of the diaspora. While trade and business will be the key focus area of the meeting, the two leaders are also expected to discuss steps to intensify the close relations between the people of the two countries, according to a spokesperson of the Chief Minister's Office (CMO). 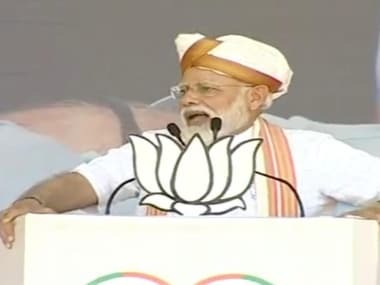 Punjab has deep roots in Canada, where a large Punjabi community is settled and has always striven to strengthen the connection, Amarinder Singh said and expressed appreciation for Trudeau's efforts in this direction. Citing Trudeau's apology two years ago in the Canadian parliament for the 1914 Komagata Maru incident, in which hundreds of Sikh, Muslim and Hindu passengers in a ship were denied entry to Canada and forced to return to India, where they met a violent fate, he said it was a gesture that underlined the depth of the relations between the two countries, which Wednesday's meeting would help in consolidating further. Prime Minister Narendra Modi not receiving Trudeau at the airport, a courtesy he extended to some world leaders in the past, has triggered speculation in Canada that it was a snub to him for the rising Sikh radicalism in that country. However, government sources strongly rejected the speculation, insisting normal diplomatic protocol has been extended to Trudeau. They also expressed surprise over the Canadian side preferring to schedule Trudeau's official engagements in Delhi at the fag end of the tour as against the normal practice of having bilateral meetings during the first part of such visits. The sources said it is quite unusual for a visiting dignitary to slot important talks towards the end of a visit, besides setting aside little time for official engagements. Trudeau will hold bilateral talks with Modi on Friday, a day before he wraps up his tour.